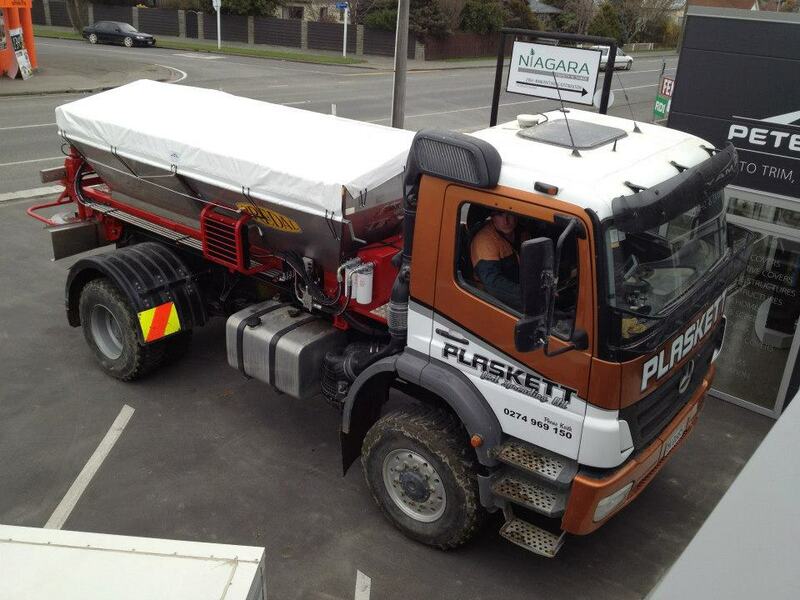 Delivery and installation of a new Bredal F4 ISOBUS controlled variable width spreader this week to North Otago. 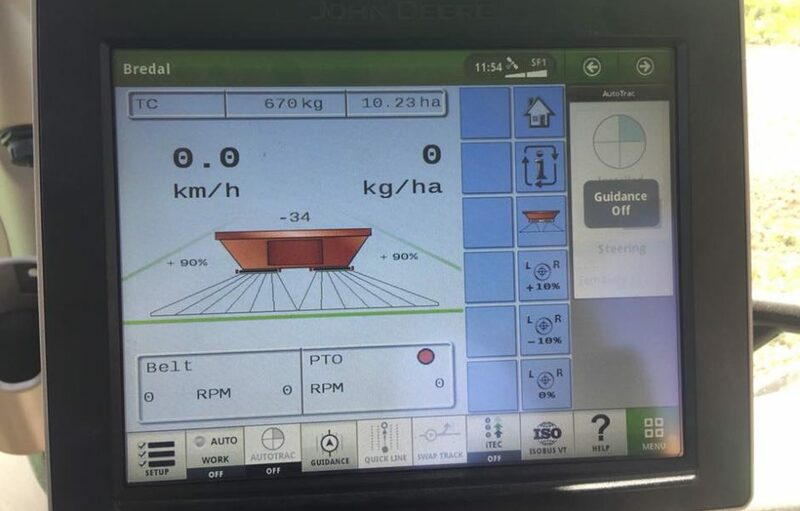 The John Deere 6215R is factory fitted with a 4600 integrated display featuring ISOBUS and section control. The stainless steel Bredal F4 features variable width, Dynamic weighing and has a 4000 litre capacity. 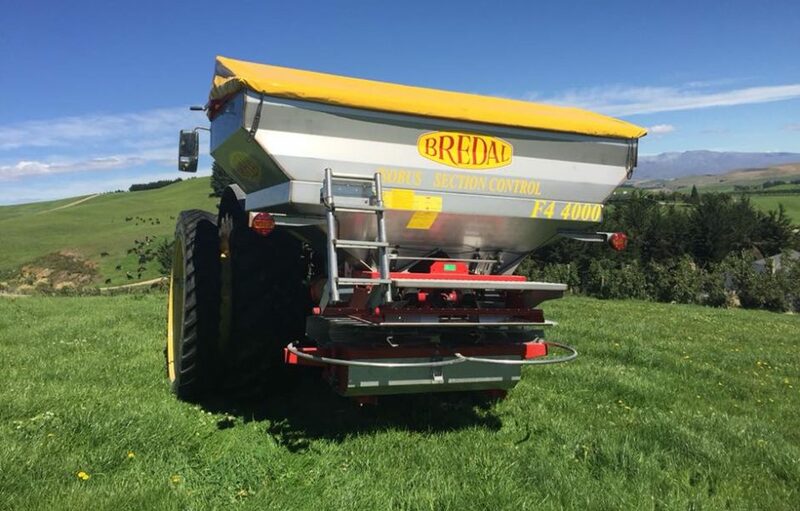 Danish-made Bredal variable rate fertiliser spreaders are renowned for their even and accurate spreading, and are one of the flagship products being distributed in New Zealand by Ashburton based EuroAgri. The accuracy and durability on which the Bredal reputation is founded, is made possible by their double overlapping spread pattern which gives spreading widths, from 10 metres to 36 metres. EuroAgri’s General Manager James McCloy says all the Bredal machines feature headland spreading, which keeps fertilizer out of waterways. EuroAgri cuts out the middle man by dealing directly with the European exporters, and the fact that there are no extra links in the chain means very competitive pricing. James McCloy says all the companies his business represents are family-owned so the communications between New Zealand and Europe are clear and direct. With a 30 year background in agricultural machinery he says the machines EuroAgri supplies are all top end products, backed by local knowledge and experience, and promises a back up service second to none. His aim is to maximise sustainability for future generations of New Zealand farmers, while offering the current generation the best products, the best parts and service backup, and the best value for money. In addition to their new franchise brands, EuroAgri sells on behalf of owners who are upgrading. All used machinery is thoroughly inspected, transport can be arranged at competitive freight rates, and different marketing options can be arranged for individual machines. EuroAgri has industry contacts throughout New Zealand and Europe, so if a buyer can’t find what they’re looking for, a simple phone call to EuroAgri may provide a solution. James McCloy says the key to EuroAgri’s service is its small team of workers. They’ll demonstrate on site, and can match the requirements of the customer with the suitable product for theis needs. They also carry a large arrange of spare parts in stock for the inevitable breakdowns. Among the most popular Bredal models for contracting and large scale farming are the K series of wide belt spreaders, which come in both, trailing and truck mounted versions, with hopper sizes from three tonnes to 15 tonnes. The truck mounted spreaders are computer drive and the trailing spreaders are either computer or wheel drive. 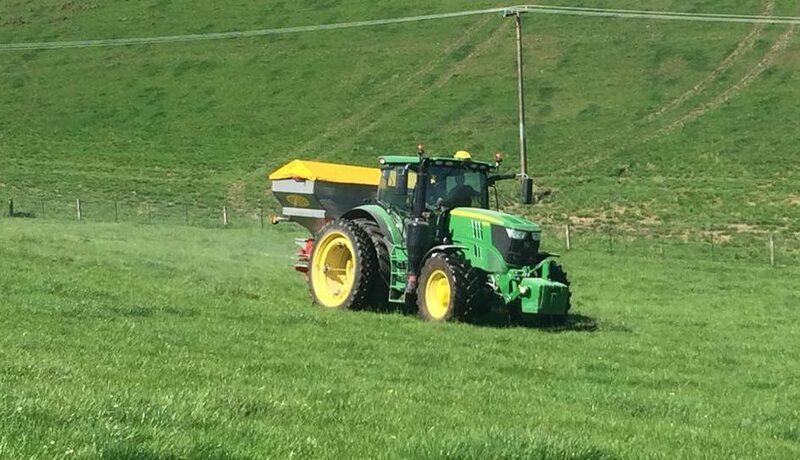 The K series spreads all fertilisers, lime, chicken manure, sand and grit. Among the key features is a mechanical drive wheel, which detects the vehicle's speed and enables the application rate to be adjusted according to the forward speed. Simple and robust, the drive wheel can be adjusted to suit different treads and wheel sizes. The spreading system on the trailing K series models is the SPC 4500-2 which uses a belt transmission in which two V belts transfer power from the tractors PTO to the spreading discs. The Belt transmission drives offer many advantages, including the absorption of shock loads by the belts without damaging the transmission. On the truck mounted models the drive is via a top drive hydraulic motor. Models in the K series extend from the K40 which has a capacity of 3.6 cubic metres with extensions to the K125 which carries 14.3 cubic metres with extensions. The K 125 has a loading capacity of 15 tonnes and comes with standard computer controls. The Bredal F2 fertiliser spreader has a unique metering system which gives infinite accuracy with all fertiliser types regardless of speed. This is done through a rubber wheel driving on to the centre of the tractor wheel. The F2 can also be electronically controlled via a Bredal Auto Control LH500 computer and load cells. This means small or large quantities of fertiliser can be applied, regulated and monitored directly from the drivers cab. 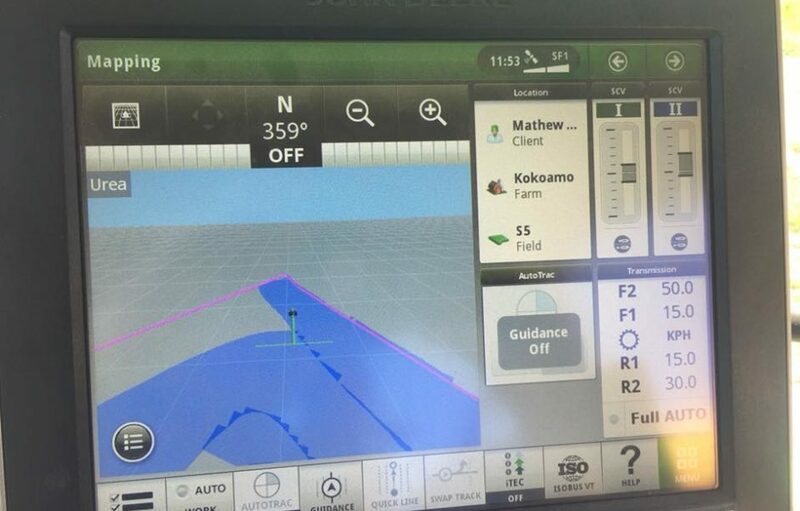 The Bredal F2 also features accurate headland spreading via the computer. It comes with a stainless steel hopper from 1,500 litres to 3,200 litre capacity. Spreading is via twin discs rotating inwards driving a double overlap spread pattern from 10 metres to 36 metres.